The Sierra Valley Chapter of the American Institute of Architects has announced the winners for the 2017 AIASV Design Awards Program. DAHLIN project Dust Bowl Brewery, with Dust Bowl Brewing Co., received a 2017 Honor Award for Design Excellence. 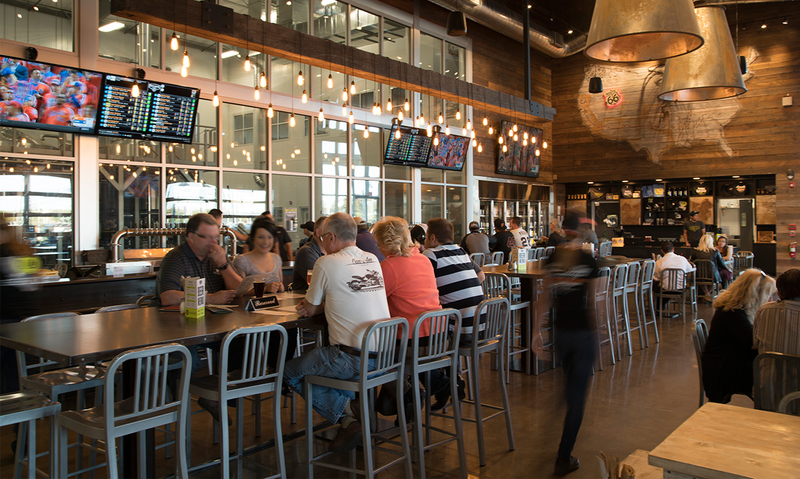 Dust Bowl Brewery is an approximately 30,000-square-foot brewing and bottling facility that allows Dust Bowl Brewing Co. to brew 17,000 barrels per year, with a footprint that can grow potentially to 100,000 barrels annually. The new facility also operates as a full-service venue for business, community and social occasions, providing brewery tours, a tasting room, restaurant, retail space, indoor/outdoor seating and event areas surrounded by hops and wheat display gardens. As part of the 10 year anniversary of the Modesto Architectural Festival, AIASV held its Awards Gala for the 2017 AIASV Design Awards on Thursday, September 21st in Modesto, CA. The AIASV Design Awards program recognizes excellence in the design, detailing, execution, photography and collaboration of the built environment.